Cyborgs. Humanoid machines. Artificial Intelligence (AI). Pop culture fiction provided a frightening narrative of these futuristic technologies. AI, once a prospect of the distant future, has become part of our everyday lives. 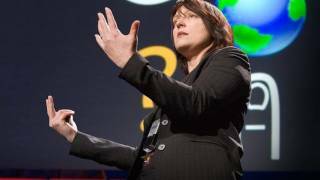 But according to Pattie Maes, AI pioneer and MIT professor, the future of humanity is far from being threatened by these new technologies; it’s brighter because of them. Officially, the cyborgs are among us: They’re our friends, our families, our colleagues – and you. 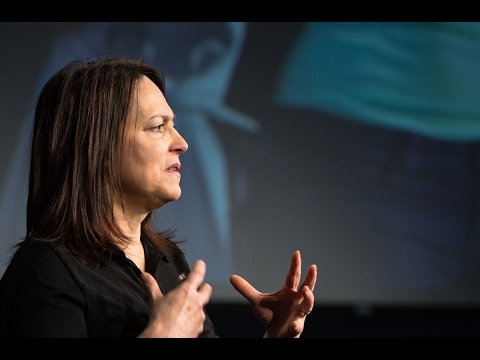 Leading authority on human-computer interaction and AI, Maes and her MIT team have developed new devices that help us perform better – from learning a second language and making smarter decisions, to everyday repairs and manual chores. Such developments present major opportunities as well as challenges for humanity and the businesses we build. Employing both AI and person-to-person interaction, Maes’ technology improves our cognitive and physiological capabilities, increases efficiency, and predicts and models human behavior. Now, learning happens in real time. People remain engaged in the physical world. Barriers for access to information are broken. 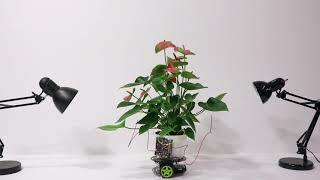 And machines, loaded with sensors, have an increased awareness of the environments we put them in. The opportunities for entrepreneurs and businesses are profound. 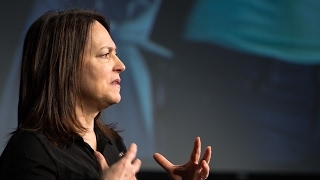 Maes has been recognized for her groundbreaking work on AI and human-computer interaction by Fast Company, Newsweek, Time Digital and the World Economic Forum. The latter honored her with the title “Global Leader for Tomorrow,” reflecting her pioneering research on how humans have become humanoid machines through the near-constant use of computers and smart-phones. 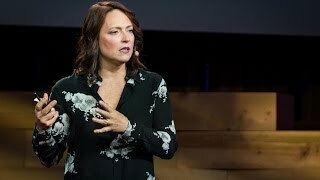 As seen in her highly viewed 2009 TED Talk, Maes focuses on the disconnect between our devices and the context of our physical surroundings and our individual interests and goals. The result: Maes contends that we cannot reject our “cyborg selves,” as the technology is here to stay. We must instead center on integrating these revolutionary accessories with our own physical bodies and mental states, so that we can act as whole beings rather than as distracted smartphone addicts. Maes, who holds a bachelor’s degree in computer science and a doctorate in AI from the Vrije Universiteit Brussel in Belgium, is a prominent member of the lecture circuit. She delivers presentations on her research and inventions in this revolutionary field of human-computer interaction. Pattie Maes is available for paid speaking engagements, including keynote addresses, speeches, panels, and conference talks, and advisory/consulting services, through the exclusive representation of Stern Speakers, a division of Stern Strategy Group®. While the business world and popular debate remain focused on the opportunities of artificial intelligence (AI), a revolution is occurring in a different field: augmented reality (AR). This technology allows us to use devices to overlay digital images onto real world settings, integrating computers and real life to unleash unique and never-before-seen human capabilities. While in its nascent stages, spending on AR technology is estimated to reach $60 billion in 2020. 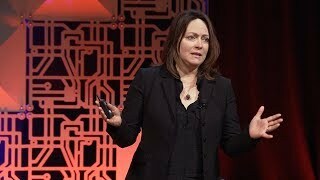 Pattie Maes, a leading authority on human-computer interaction who develops AR technologies at the MIT Media Lab, believes AR has as great a likelihood as AI to change humanity, as it addresses a major problem we face: the disconnect between the information available to us and our ability to practically apply it in our everyday lives. From universities to manufacturers, every organization will be impacted in some way, as AR can potentially revolutionize approaches to training, productivity and information-gathering. According to Maes, now is the time for organizations to develop a proactive, forward-thinking AR strategy. 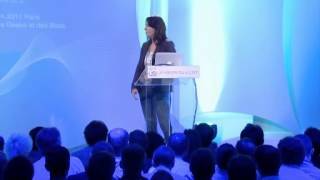 In this presentation, she both describes the ways AR can and will impact particular industries (customized according to audience), and what steps organizations will need to take to develop a progressive and successful AR strategy. Thanks to the near-universal use of smartphones and other connected devices, we now effectively operate as part-humans, part-machines on a daily basis. But there is a problem: our devices tend to distract us rather than complement our daily tasks. We must pause to look up information rather than learn as we go along. And our phones bombard us with unwanted information rather than inform us within the context of our physical environment or momentary desires. Pattie Maes and her MIT research team are working to make our devices more relevant to our daily routines. Rather than building robots to do our jobs for us, Maes is creating robotic extensions for the human body and AI extensions for the human mind, allowing us to accomplish tasks more easily and reach self-actualization by integrating our physical and digital experiences into a more seamless system. These technologies will also allow us to interact with other people in different geographical locations while performing tasks, eliminating the barrier of distance and revolutionizing employee training and do-it-yourself work. As Maes explains in this exciting presentation, the cyborgs are already here, and they are us. The next step is to make our new dual identity work in our favor. In just a few generations, we have gone from the mainframe to the personal computer to the ubiquitous smartphone. By most measures, the advance of technology is increasing at a rapid rate, and in the next two to five years, we expect to see more change than in the last few decades. According to Pattie Maes, the smartphone is seeing its twilight as the pinnacle of human-computer interaction, as for all its wonders, it remains a detached object of use mainly for communication and occasional research. In contrast, we are on the verge of mass producing devices such as augmented reality (AR) glasses and robotic body extensions, which will be fully integrated with our own bodies, aiding us in daily physical tasks. 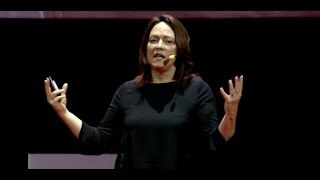 In this presentation, Maes gives an overview of the future of technology that will integrate humans and computer experiences, revealing its oncoming evolution, as well as how businesses and industries will be impacted and what opportunities leaders will need to seize.